MEMBER for Macedon Mary-Anne Thomas retained her seat, winning 62.8 per cent of the vote after preferences with 76.5 per cent of votes counted. Ms Thomas’s win was won of 51 for Labor, giving Premier Daniel Andrews a second term in office. Ms Thomas will also serve her second term after the win, which came with a 9 per cent swing in favour of the ALP. 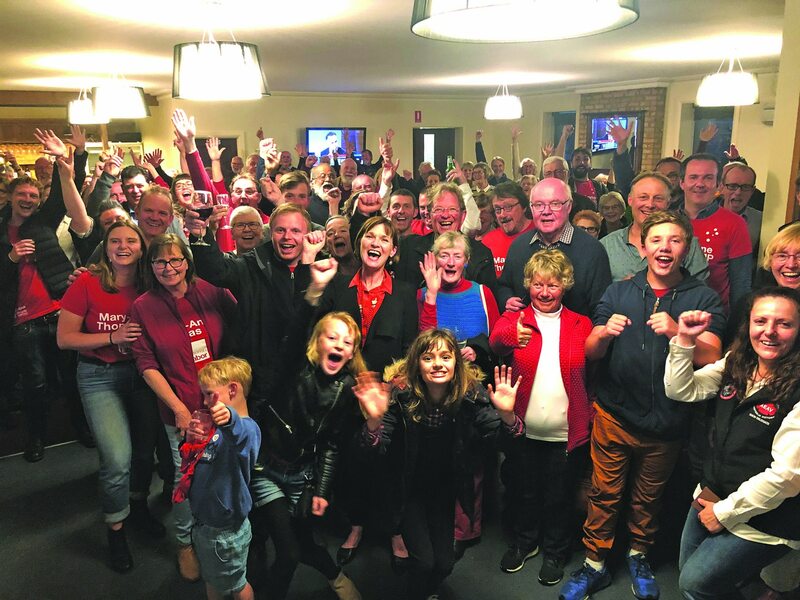 The Labor member won 49 per cent of the first preference vote, a 10.3 per cent swing in her favour, while Liberal candidate Amanda Millar won 32.4 per cent of first preference votes with a 11.5 per cent swing against the Liberal Party. Greens candidate Ralf Thesing won 9.2 per cent of the vote, a 5.6 per cent swing against the Greens, with other parties making up the remaining 9.5 per cent. Ms Thomas was heavily favoured at voting centres in Romsey, Woodend, Kyneton and Riddell, while it was a tighter contest in Gisborne, Bolinda, Darraweit Guim and Lancefield. Ms Thomas said she wanted to thank the people of Macedon for allowing her to serve them for another four years. “But there’s much more to do and I’m looking forward to delivering on our commitments to this region including upgrading Lancefield and Romsey Primary Schools, funding to finish the Romsey Ecotherapy Park, establishing the Romsey Men’s Shed, starting work on the roundabout at Barry Street, upgrading Riddells Creek CFA and finishing work on the massive safety upgrades to Melbourne – Lancefield Road,” she said.